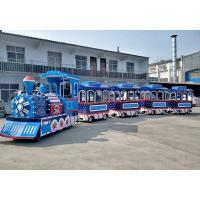 Our factory sightseeing train adopts advanced car paint process, the cabin is colorful, equipped with colorful horse racing LED waterproof light, 2.2KW motor, which can increase horsepower according to the slope of the site. 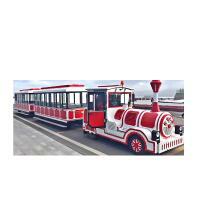 The sightseeing train adopts the 190-type large-capacity Sino-foreign joint venture Leike lead storage battery with power indication function, and is equipped with rearview mirror, simulated smoke, driving recorder, subwoofer, and vehicle intercom. 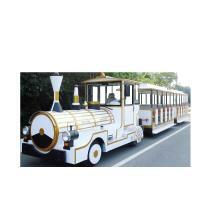 The hydraulic brake system used in this sightseeing train is stable and safe, suitable for all major scenic spots, shopping malls, parks, pedestrian streets, playgrounds, real estate and other places. 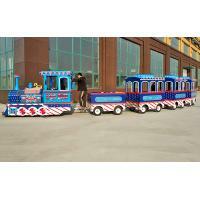 Zhengzhou Myth Amusement Equipment Co., Ltd. was founded in 2008, is one of the early start-ups enterprises in China's amusement equipment industry, is a professional manufacturer which gathering the R&D, design, production and sales for large,medium,small and new type amusement equipment. 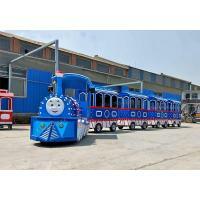 After years of continuous efforts and self-improvement, now the company has a strong design, installation, maintenance and other technical capabilities. 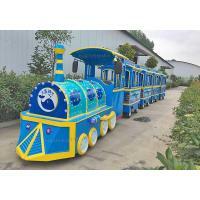 The company has mastered high-precision welding technology and polishing cutting technology, using the latest technology, perfect to create meticulous, intimate children's amusement products. 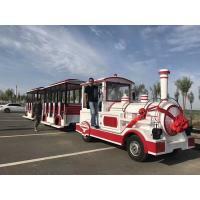 Main Advantage Products:small sightseeing train,merry-go-round,pirate ship,flying chair,rail train,astro-jet,Longmen carp,bullfight machine,electric power cart, Inflatable castle,inflatable slide,inflatable pool,battery ship,manual boat and other amusement equipment. 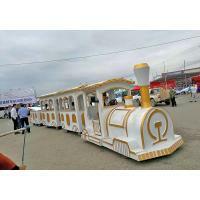 Over the years,our company take the advantages of management, technology, production equipment,with flexible sales model and advanced science and technology as the guarantee,producing safety, stimulation, novelty and high-quality products,seizing the market opportunity.Our products are based on new ideas, new concepts, high standards of aesthetic requirements,with beautiful appearance, proper internal design, durable color, excellence in workmanship,won the favor of new and old customers all over the country. 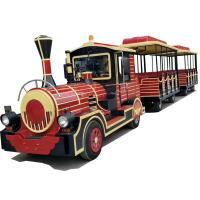 Our company took the lead in setting up a Customer Service Center to provide customers with convenient, fast, high-quality, efficient pre-sales and after-sales service.The products have been recognized and trusted by customers, due to stable quality, reasonable price, perfect after-sales,set up a good credit and reputation in the market.Created remarkable benefit for vast number of customers,which has been highly appraised by authoritative people. To expand the market depends on innovation, want to long-term development depends on keeping good credit.Honesty is the soul of an enterprise, only constantly improve after-sales service, can make the market being long time and bigger.We have always put quality first, reputation-oriented, customer first as the principle,keep the service concept of creating value for customers,actively to observe the needs of customers, provide perfect life-long after-sales service for products! With the continuous expansion and improvement of the company's scale, the company currently has a number of new office space to provide excellent office environment and 55 acres of factory plant.The company has now set up Sales Department, Network Department, Finance Department, Warehousing and other departments, the total number of employees more than 200 people.Since its establishment, our company has been to become influential e-commerce company in the amusement equipment industry in Henan area as the goal. 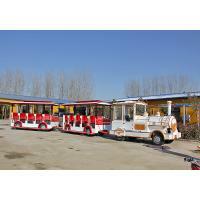 Zhengzhou Gold Sunshine Amusement Equipment Co., Ltd. strive to use more high-quality resources to serve customers, create the peak of the cause together!